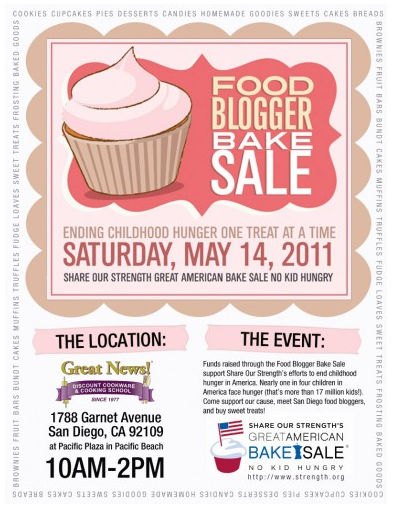 San Diego Food Blogger Bake Sale! When you live in San Diego and write a food blog, it doesn’t take long to figure out that you’re only a blip on the radar when compared to those who blog from L.A. and San Francisco. As much as I have always known (and met) a few San Diego food bloggers and am always looking for more, I was surprised recently to learn of a few I hadn’t discovered, thanks to Marie of Meandering Eats. She has rallied a number of us to participate as the San Diego branch in the National Food Blogger Bake Sale, the brain child of Gaby of What’s Gaby Cooking? The proceeds from this national event will benefit Share Our Strength, an organization that strives to end childhood hunger in America by 2015 through funds raised from a variety of food-focused events. This year, San Diego joins the national group and will be meeting on Saturday, May 14th to sell baked goods at Great News! Discount Cookware and Cooking School in the Pacific Plaza shopping center at 1788 Garnet in Pacific Beach from 10-2. Want to get involved? You don’t have to be a food blogger to participate. You can either donate home-baked goods to sell, or stop by and purchase something sweet and delicious on the day of the sale. If either of those options doesn’t work, then you can also donate directly on behalf of the San Diego Team to the cause here. If you’re not from San Diego, then by all means, check out Gaby’s information above to find out where in your state or city a bake sale is being held and seize the opportunity to donate some freshly baked goods. 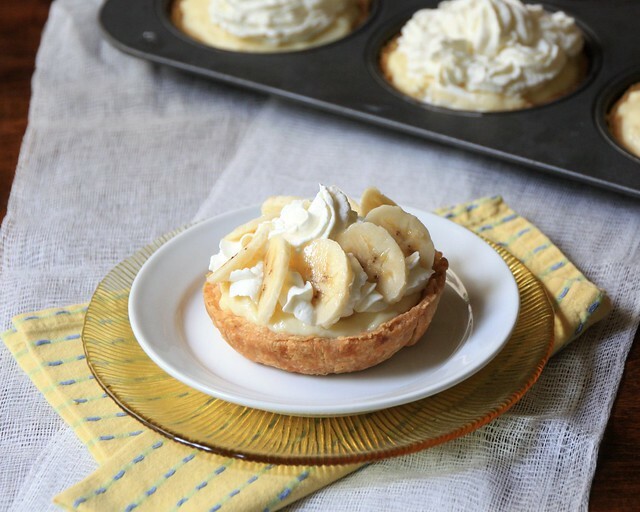 I could make these delicious Banana Cream Tarts, but they’d do better with refrigeration. Too bad. They’re so very good. 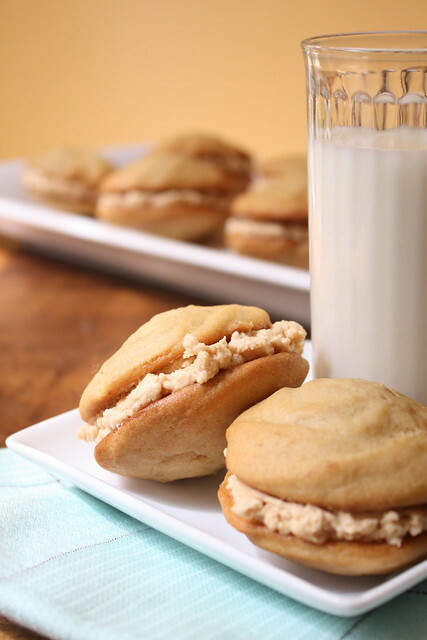 Banana Whoopie Pies with Salted Caramel Marshmallow Creme would also be great, but the packaging could be tricky. I’ve been thinking of making chocolate dipped red velvet whoopies even though I’m not sure about all the red velvet fuss. Chocolate always wins me over. Chocolate Dipped Peanut Butter Cookies could be a hit. They’re chewy, with a bit of crunch, and the chocolate makes them a bit decadent. But it’s Spring! 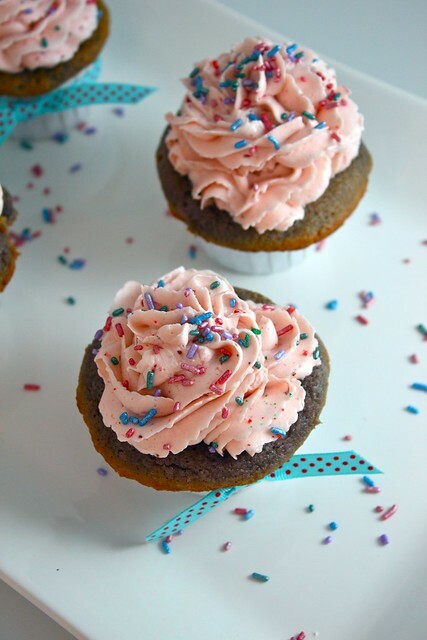 Wouldn’t one of these Strawberry Cupcakes with Strawberry Mousseline Buttercream be perfect? Their flavor is amazing, but traveling with them could present quite a few problems getting them to the sale. I wonder if I could hook people on an Upside Down Cupcake and create a new craze? It would be so much more like me than all the phoofery a regular cupcake presents. 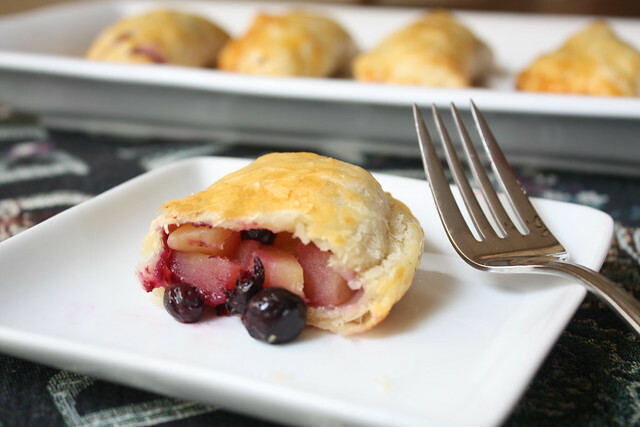 Apple Blueberry Handpies could be perfect. They’re small, tasty, not packed with sugar, and easy to transport. We loved these, and any kind of fruit would work quite nicely. 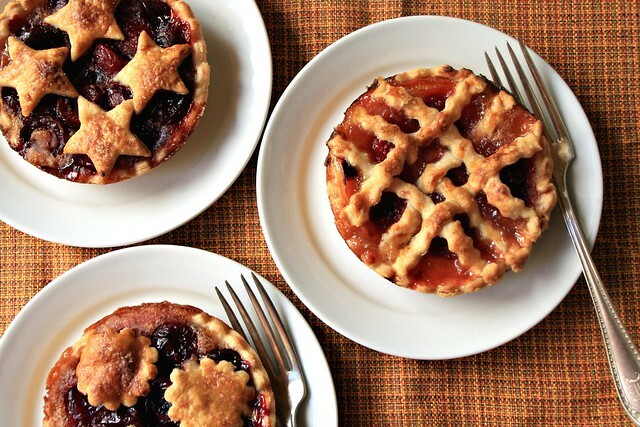 To celebrate the fruit of the season, fruit tarts could be perfect. Something you could share, but wouldn’t have to. Something you might be tempted to sneak more than one of — just in case. All for the cause, you know. What do you think I should bake? What’s your favorite sweet treat to find at a bake sale? Any great recipes to share with me? I’m semi-brownie challenged, remember?